This beautiful figurine features five frolicking fairies! The pixies form a circle around a faceted crystal orb. Each of the fae is in a different position, dancing through the air on dragonfly wings! 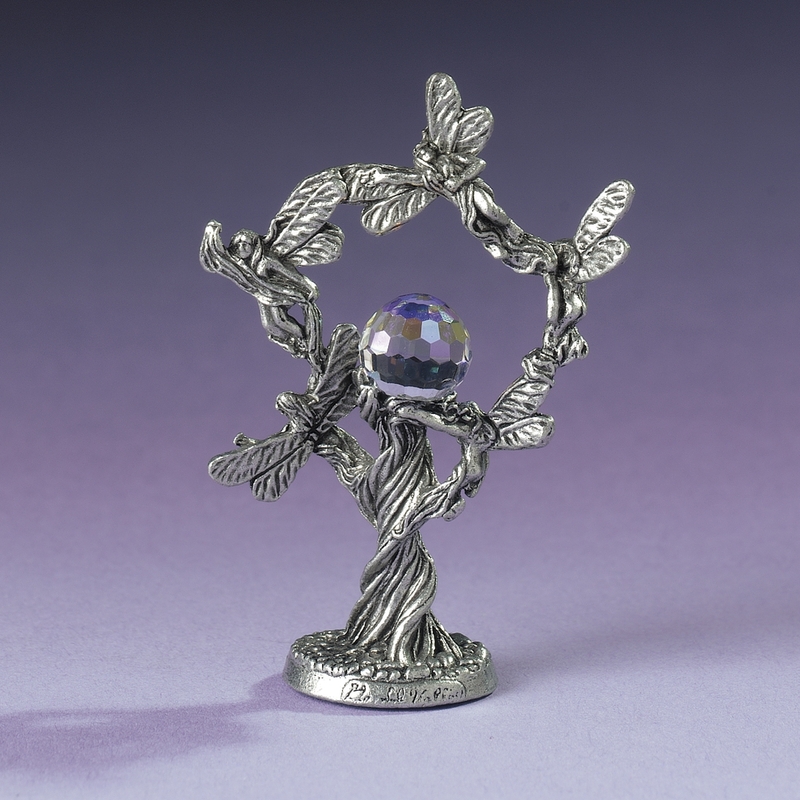 Any friend of the faeries is sure to be delighted by this pewter collectible.